The Wing, a new visitor and education centre for the Battle of Britain Trust at Capel-le-Ferne in Kent. This award-winning dynamic building for the Battle of Britain Memorial Trust is based on the iconic shape of R J Mitchell’s unforgettable Spitfire wing, complete with that famous uplift. 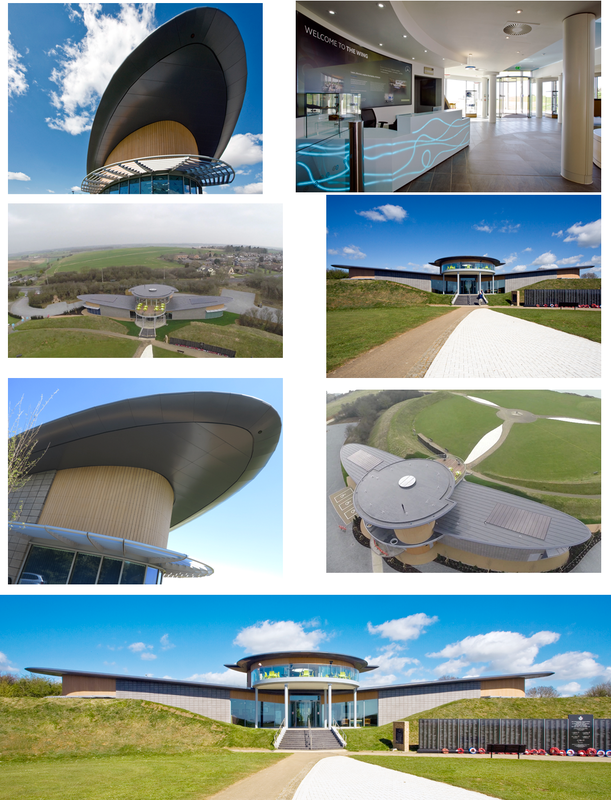 With one wing housing the high-tech visitor experience and the other devoted to a learning space, the striking building takes centre stage at the National Memorial to the Few and was praised by Her Majesty the Queen when she opened it on 26 March, 2015. A first floor balcony provides stunning views across the Channel.